Bali is one of the dreamiest places in the world. 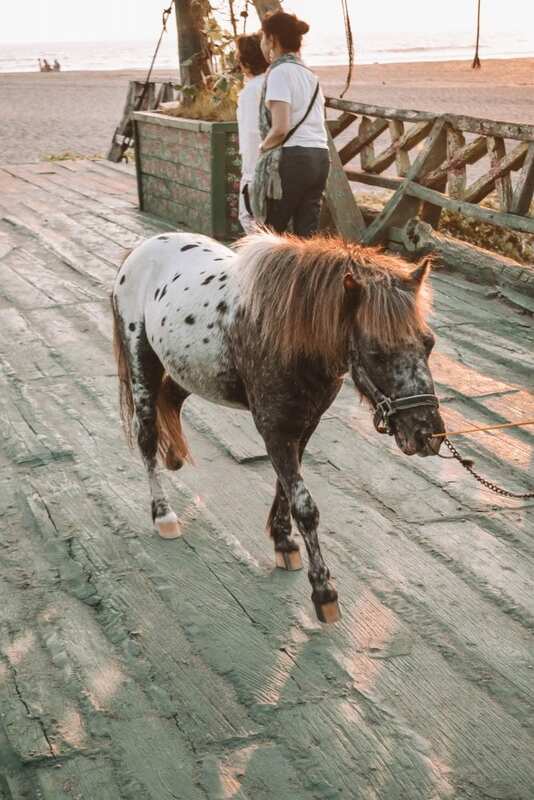 If you read my blog post on the Highlights of Bali or if you have actually been to the Indonesian island yourself, then you know that the country is filled with an amazing culture, beautiful people, pristine beaches, stunning tropical nature, wondrous rice terraces and I could go on and on. 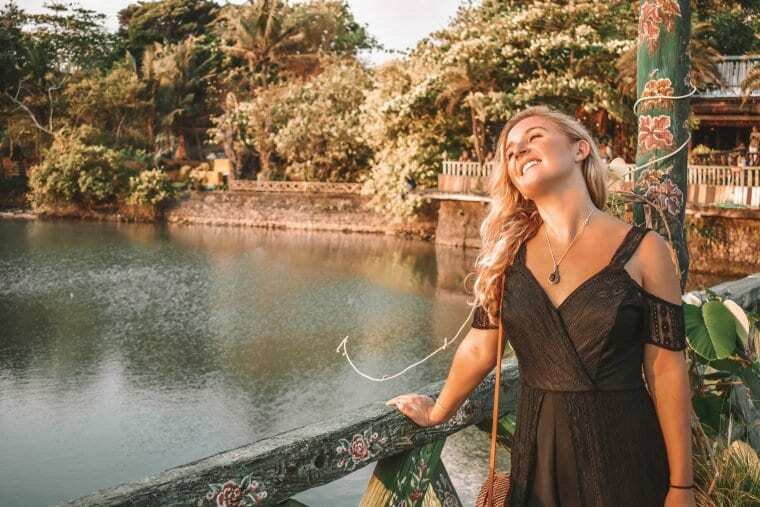 Not only is it important that you do not miss out on visiting Bali’s natural gems that I mention above, you also need to check out the island’s dreamy cafés, restaurants, bars and nightclubs! 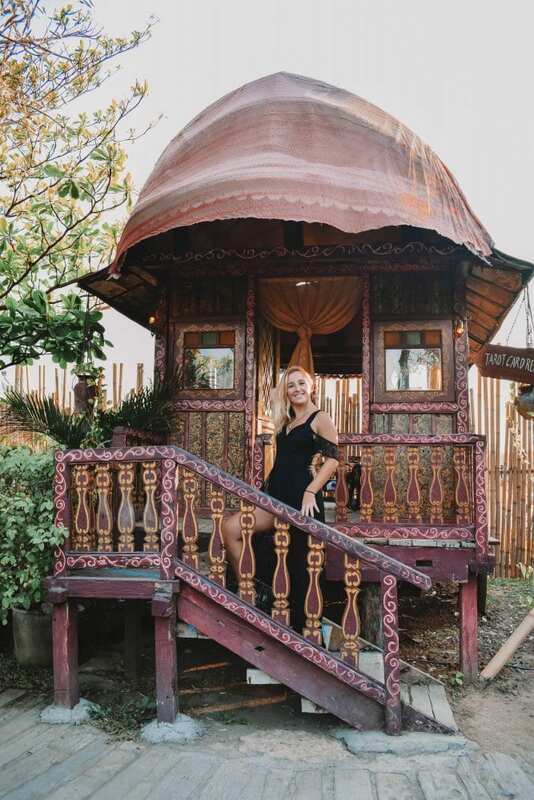 During my amazing Travel Girls Getaway blogging retreat with We Are Travel Girls, not only did Founder Becky Van Dijk and PR Manager Hannah Robinson teach us awesome business skills, they also showed us some cool hidden gems throughout Bali. Below, discover a list of my favorite places to eat, drink and have fun! Villa Malaathina: Before I get into talking about all of the beautiful restaurants and cafés I went to in Bali, I want to rave about how amazing the food at my villa was. Every morning, our villa staff put out an amazing breakfast spread that included tropical fruits such as dragon fruit, passion fruit, mango, guava, kiwi, pineapple and melons. They even had freshly-squeezed watermelon juice, pineapple juice, green smoothies as well as warm coffee and iced lattes. For the main breakfast meal, they served vegan omelets, turkey sausage and bacon, sautéed spinach with mushrooms, grilled tomatoes, homemade cereal and an assortment of croissants and Danishes. It was delicious! When it came to dinnertime, the staff at the villa did an amazing job cooking the best homemade Indonesian food. 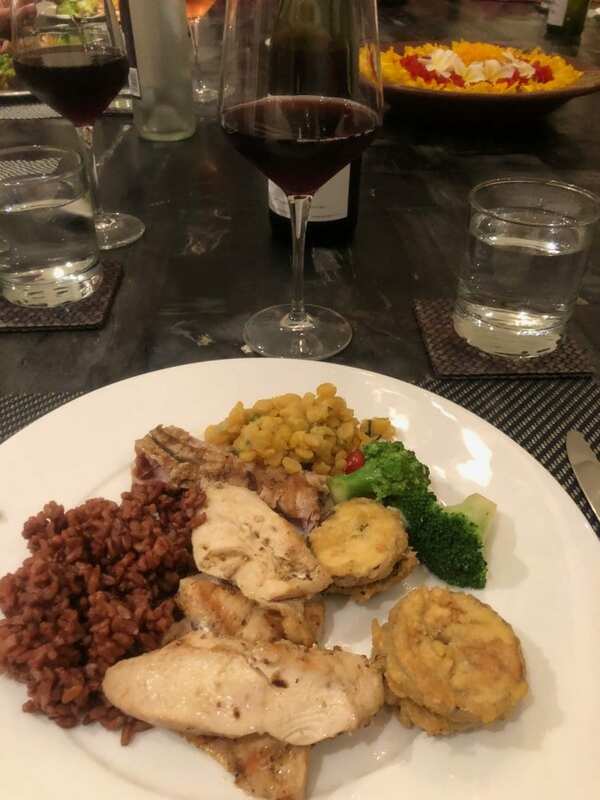 We enjoyed satay (chicken skewers) with a honey soy sauce, fried eggplant with fresh Indonesian tomato sauce, sautéed Asian veggies, Indonesian fried rice, tempeh (a soybean side dish) and fresh bread. One night at the villa, we celebrated our friend Ninie’s birthday. Becky, Hannah and the villa staff surprised us with an unforgettable teppanyaki dinner. In case you do not know what teppanyaki is, it is an Indonesian version of Japanese hibachi. Our villa staff went all out and grilled teppanyaki chicken, shrimp and fresh fish. They also had grilled veggies, fried rice, tempeh and offered a variety of sauces. All of it was amazing! For Ninie’s birthday, they provided a traditional birthday cake and decorated the teppanyaki station with tropical flowers that hung from the ceiling. (It was so beautiful!) We then ended the night with a fun pool party. Nook: On our second day of the retreat, Becky and Hannah took us to the cutest outdoor café for lunch called Nook. 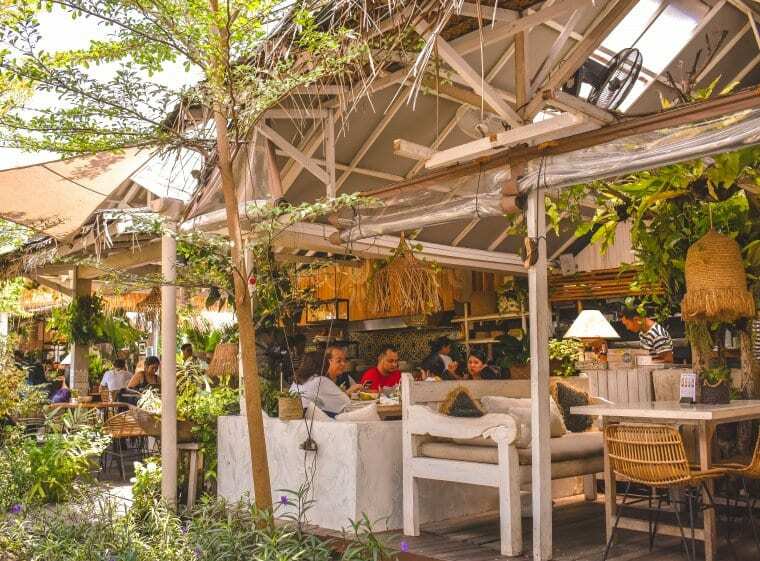 This luscious escape within the hustle and bustle of Seminyak is perfect for those wanting to enjoy lunch with flowers, rice terraces and great food. In regards to the menu, there are a plethora of different options to choose from, making it perfect for all taste buds. You could choose from traditional Indonesian (which is what I did), Thai or Vietnamese (pad Thai and spring rolls), American (burgers and fries) and even Italian (they had gnocchi with pesto sauce). Since we were sitting outside and it was a hot day, we all enjoyed fresh coconuts. 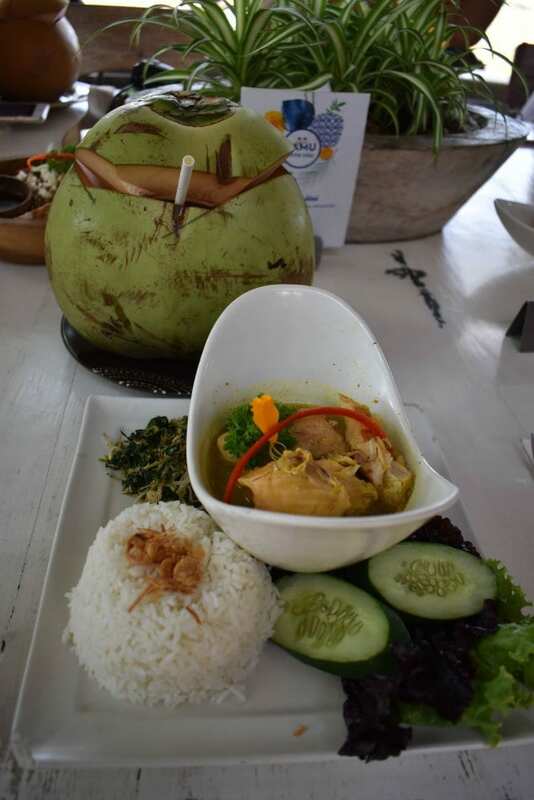 For lunch, I enjoyed ayam betutu that consists of steamed chicken in Balinese spices (similar to a curry) with white rice topped with fried coconut and veggies. It was spicy, but so good! In addition to great food, Nook also has a side stand that offers fresh smoothies and smoothie bowls – a staple in Bali. Watercress: With locations in both Seminyak and Ubud, Watercress is a tropical and rustic café with amazing farm-to-table options. 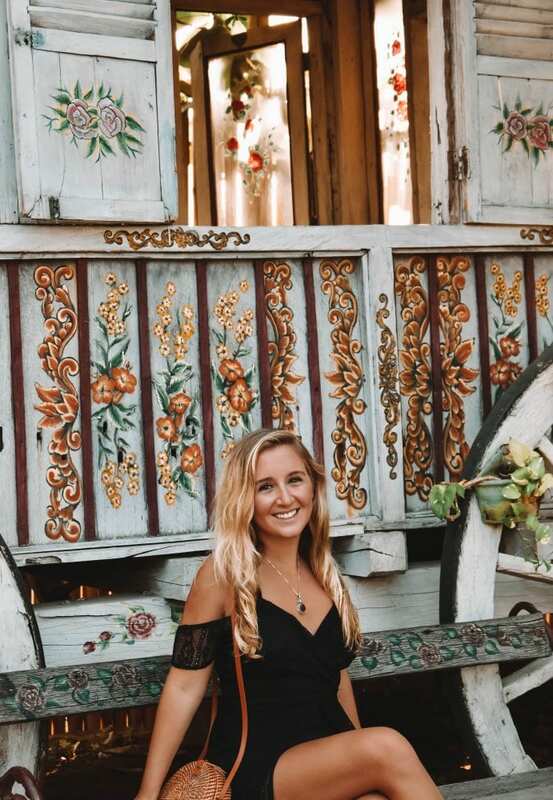 Since most of the tourist population in Bali consists of Australians, a lot of people have brought over many customs and touches from Australia. 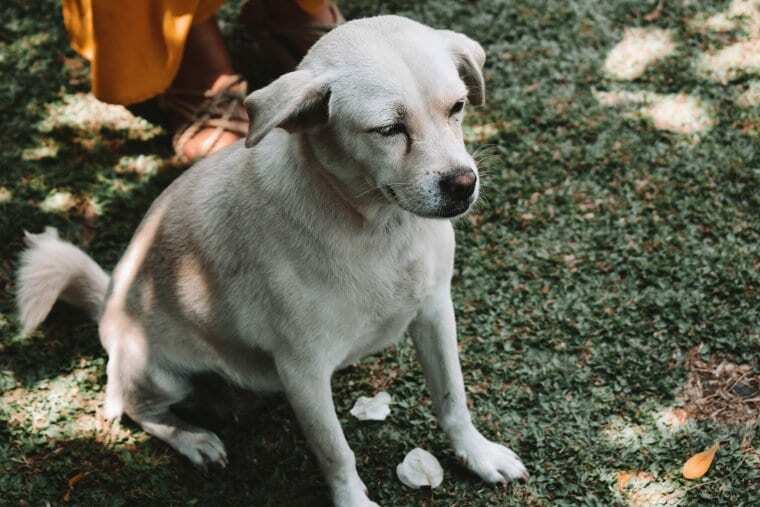 As a way to introduce sustainably-sourced food in Bali, the Australian owners of Watercress offer good food, healthy eating and love for all. One of the reasons why I loved Watercress is because the menu is so diverse! We enjoyed dinner on our second night there and the cuisine ranged from vegan to traditional Indonesian as well as Italian to Korean. 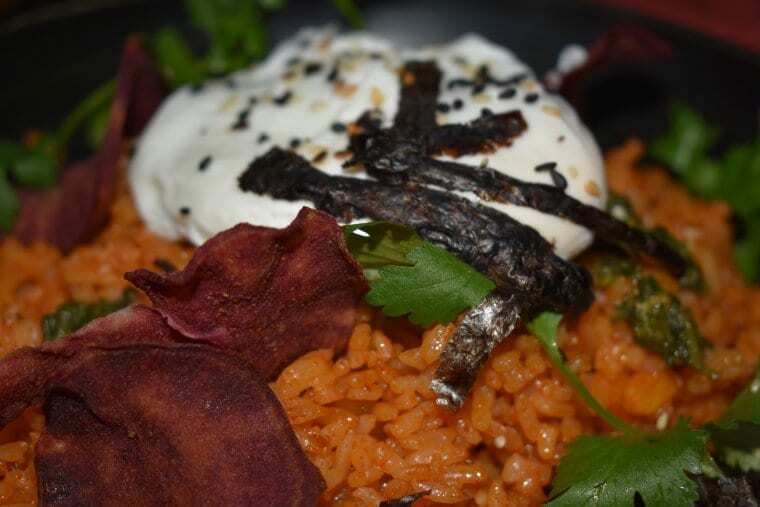 I opted for the Korean dish that consisted of kimchi fried rice with beetroot chips. It was yummy! The View: Nothing is more perfect than enjoying lunch in the clouds while adventuring through north Bali. 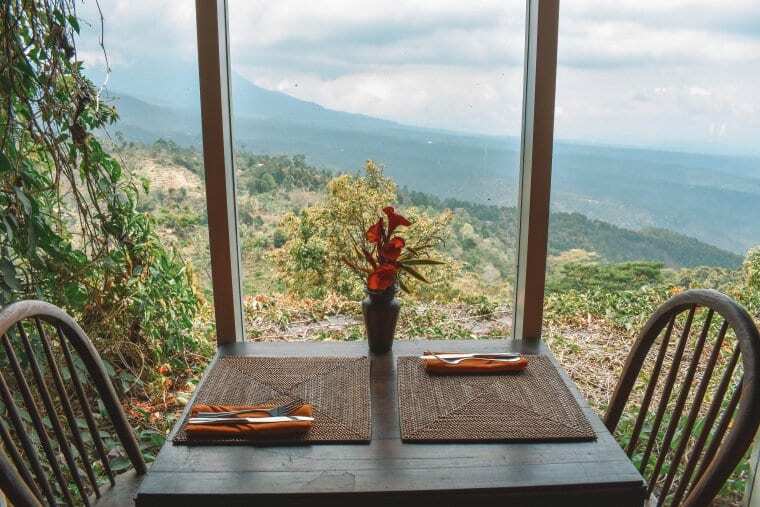 Located in the mountains of Mundak, The View is a beautiful café that offers amazing views of the Java Sea and beautiful Central Mountains of northern Bali. This wonderful Javanese-style restaurant offers a selection of comforting Indonesian and Balinese dishes made from farm-fresh and locally-sourced ingredients. We all enjoyed amazing appetizers such as vegetable spring rolls, tahu tempe mendoan (stir fried tempeh with soy and chili) as well as potato wedges. 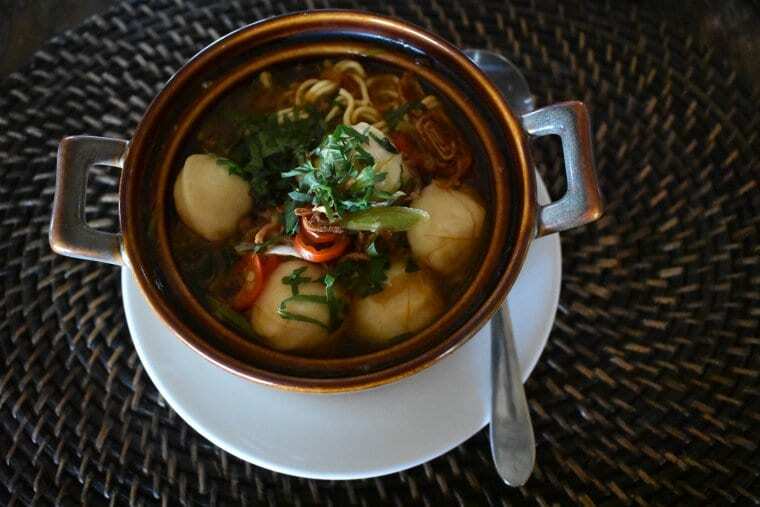 For the main course, I enjoyed a delicious egg noodle vegetable soup with fish balls. It reminded me a lot of Japanese ramen. Kembali: One of my favorite casual cafés in Bali is Kembali, located in Bumbak. 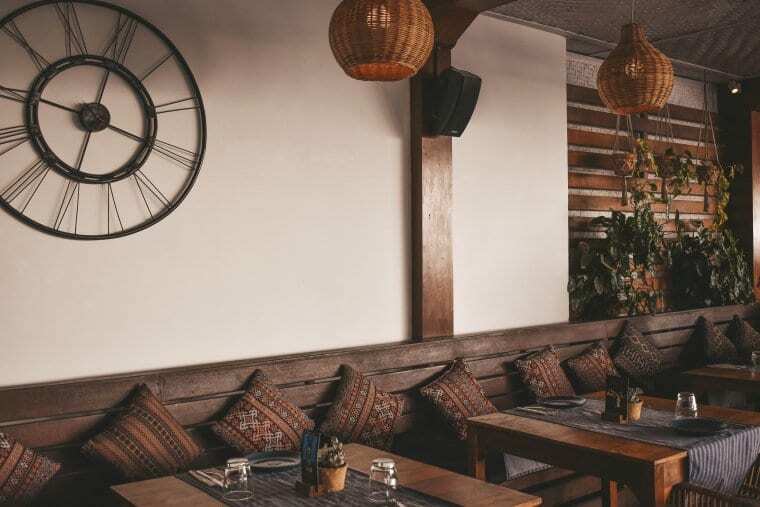 This chic and quaint café is one of the best representations of the casual dining culture of Bali. It is here where you will find a lot of digital nomads, bloggers, freelancers and consultants on their laptops. It is that homey and cute! Before heading to Uluwatu, we stopped at Kembali where most of us enjoyed their famous Louisiana fried chicken sandwich that consisted of perfectly crisp chicken, gochujang spice and mango salsa. 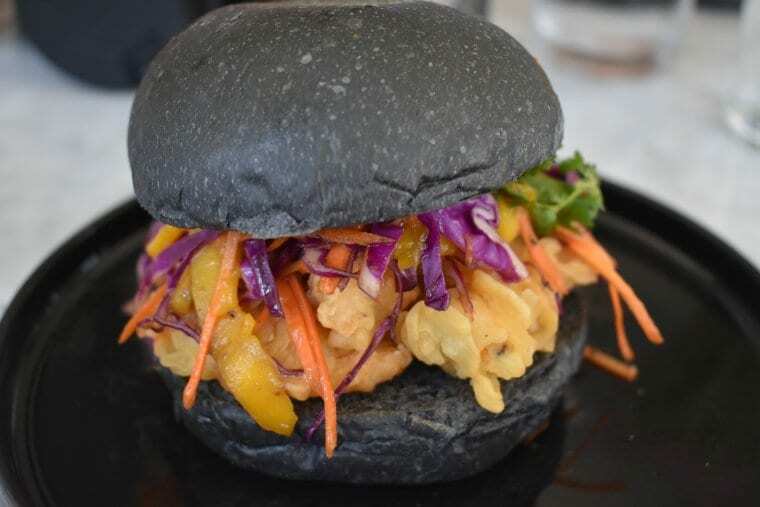 It came on a charcoal bun, which was so cool and amazing! In addition to their amazing food, Kembali also offers great smoothies and smoothie bowls! 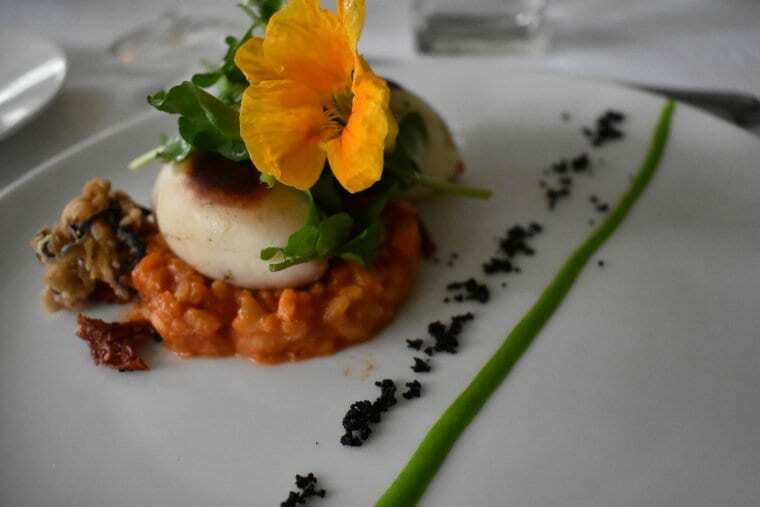 Bridges: Known as one of the most memorable dining locations in Bali and a wonderful culinary experience for those traveling through Ubud, Bridges is a place you cannot miss out on. With culture and nature mixed with romance, Bridges is set on seven levels overlooking the Wos River. Can you imagine a better place to savor your favorite Indonesian dishes? During our lunch at Bridges, we were given a set menu that included an appetizer, main course and dessert option. For the appetizer, I had calamari stuffed with Indonesian rice. My main course consisted of roasted chicken that was cooked to perfection and then enjoyed chocolate covered strawberries as my dessert. 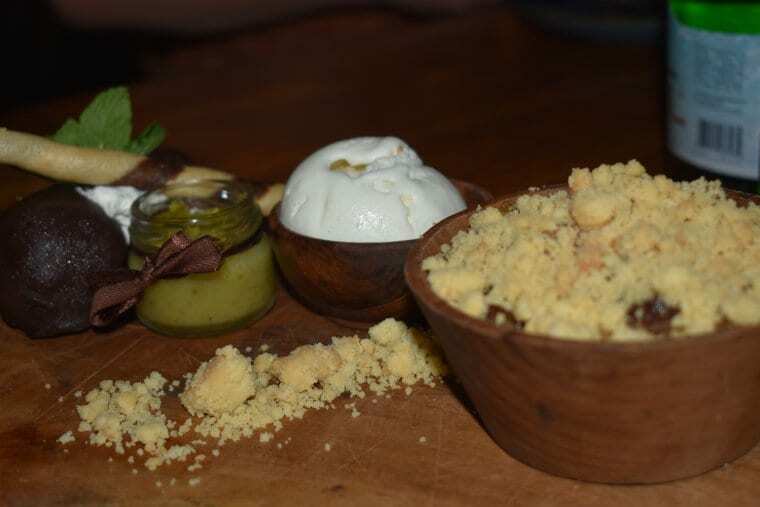 During our time at Parachute, we all enjoyed the restaurant’s delicious spreads with their freshly baked bread. The spreads and dips that Parachute offers are passion fruit cream cheese, smoked fish cream cheese, veggie cream cheese, roasted eggplant-tahini, olive tapenade, bruschetta, split pea hummus and pineapple jam. They were all so addicting that we ordered seconds! 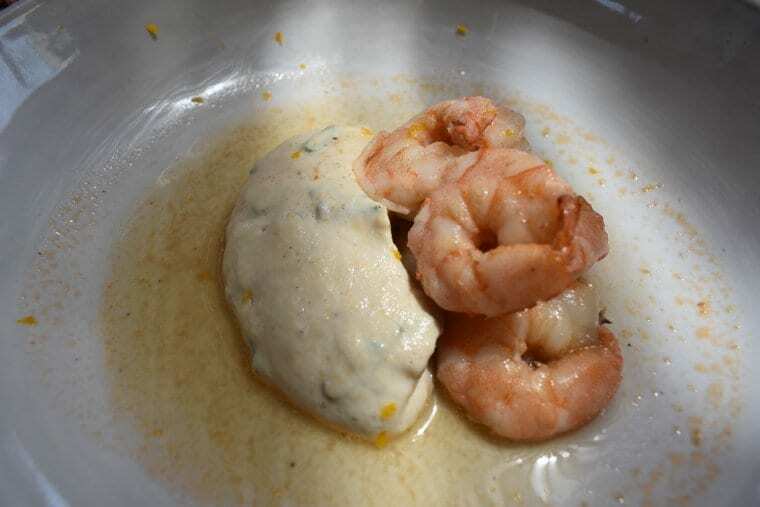 Since I filled up on bread, I enjoyed shrimp with an amazing secret sauce. In addition, Parachute is also known for their herbal infused drinks. I had an amazing lavender sparkling water. Gardin Bistro & Patisserie: Located in Seminyak, Gardin Bistro & Patisserie is a hidden gem situated in a small Balinese forest. 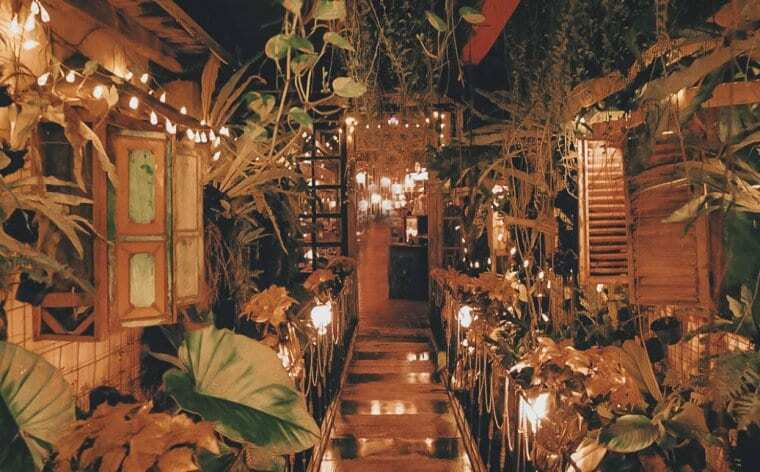 This was the last restaurant I went to during my time in Bali and I have to say that it amazed me from the moment I walked in. I seriously have never stepped foot in a place as cool as this. (Okay, maybe eating a five-course meal in a Lappish igloo was amazing too.) 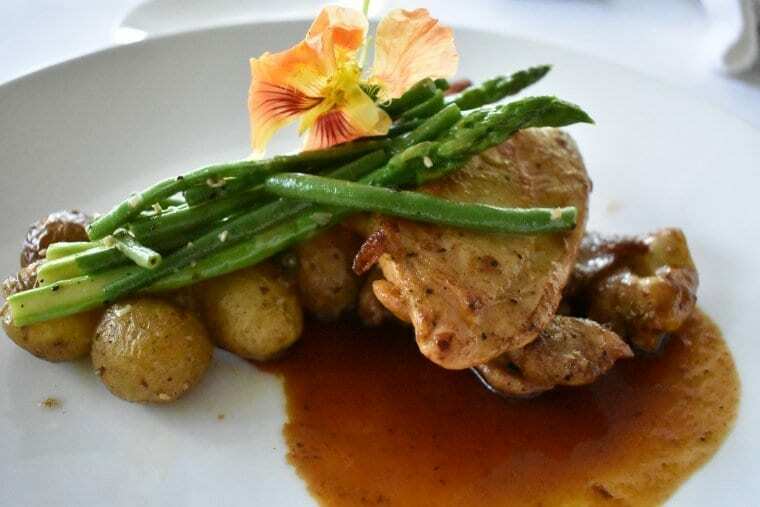 Gardin features Middle-Aged and gothic touches surrounded by tropical greenery so that one feels like they are sitting in a European restaurant on an Indonesian island. 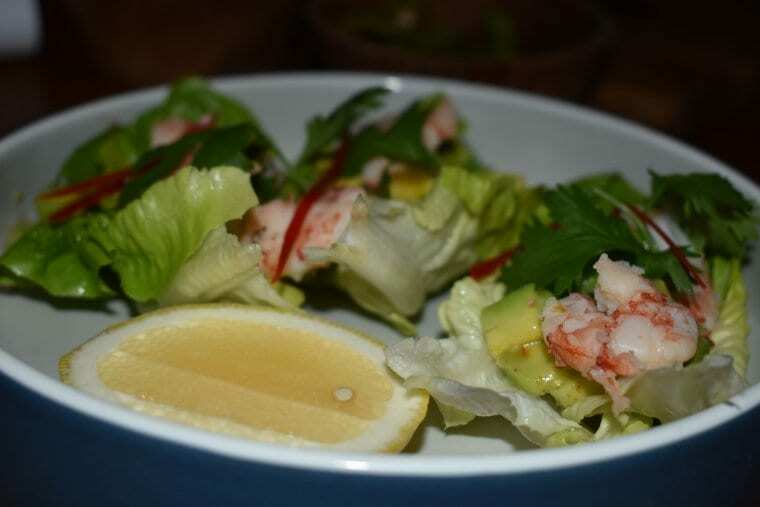 The food options that Gardin offers range from traditional Indonesian to Australian and American to Italian. They also sell cute pastries! Since it had been a while since I had Italian food, I opted for the pasta dish with fresh veggies and it was great! Overall, having dinner at Gardin was the best way to end my time in Bali. La Laguna: One of my favorite spots in Bali, that fulfilled my flower child heart, was La Laguna at Berawa Beach in the town of Canggu. 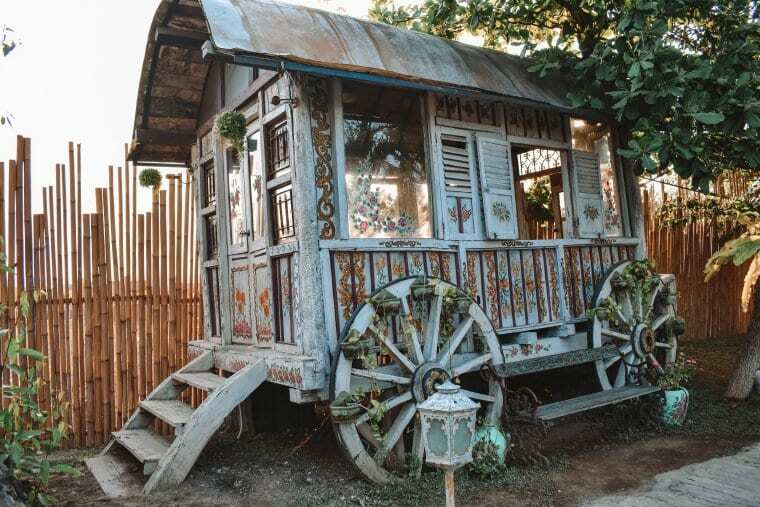 When you first enter La Laguna, you will be transported into a mystical and enchanting world filled with colorful, bohemian and vintage caravans, beautifully-sewn bean bag seating on the beach, alfresco seating through scattered gardens, wooden teepees near the ocean and stringed lights everywhere. During our second evening in Bali, we went to La Laguna to enjoy some sunset cocktails. 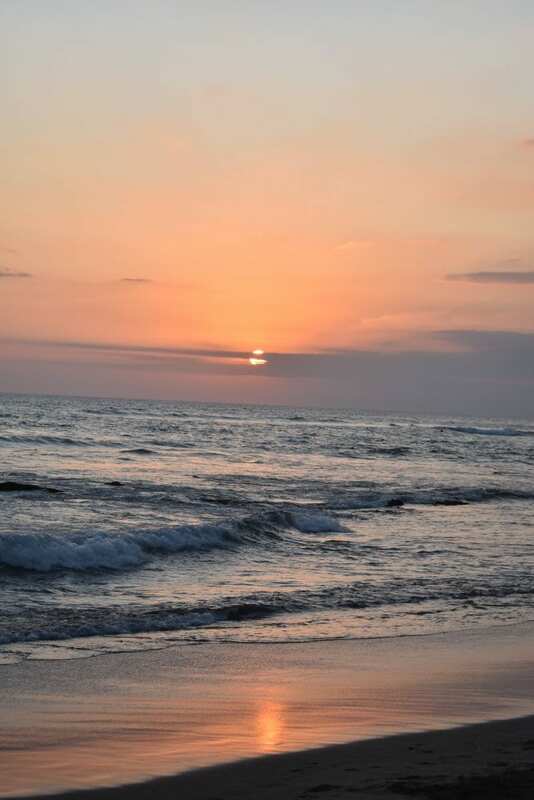 After wandering around and admiring all of the beautiful caravans, we made our way to the beach where we enjoyed an amazing sunset over the Indian Ocean. We also got to enjoy some fresh beverages as well. It was the perfect evening! In addition to enjoying drinks at La Laguna, you could also order food and snacks. As the night goes on, it will be transformed into a big party! The Lawn: Another favorite spot to watch the sunset with a refreshing beverage is The Lawn. 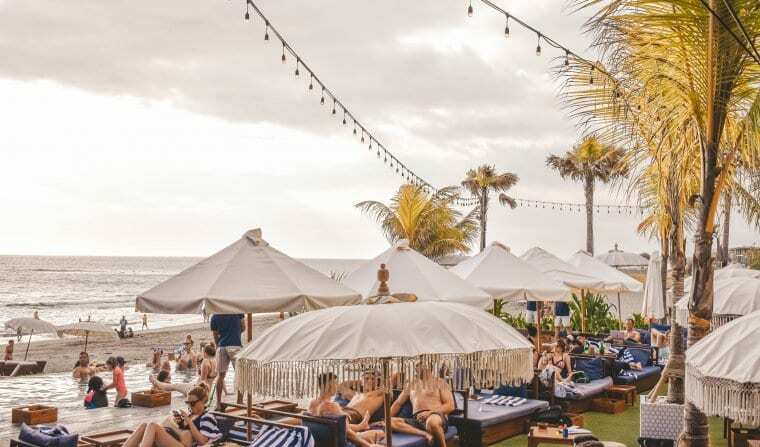 Located in the hip area of Canggu is where you will find locals, expats, nomads and vacationers enjoying a day at the beach, lounging by the infinity pool that overlooks the ocean, sipping cocktails as well as savoring a delicious dinner. On the actual lawn, there are straw picnic-style seating and lounging where you could order drinks and food. It is such a dreamy spot! The pool is also cool because you could swim up to the bar. In addition, the restaurant area is also lovely and offers some amazing dishes. I truly enjoyed their healthy lettuce-wrapped shrimp tacos along with their fruity crisp and chocolate covered Italian macaroon with pistachio for dessert. During sunset, there is nothing better than actually going on the beach and seeing the sun go down as the waves crash on the shore. This one was heavenly! 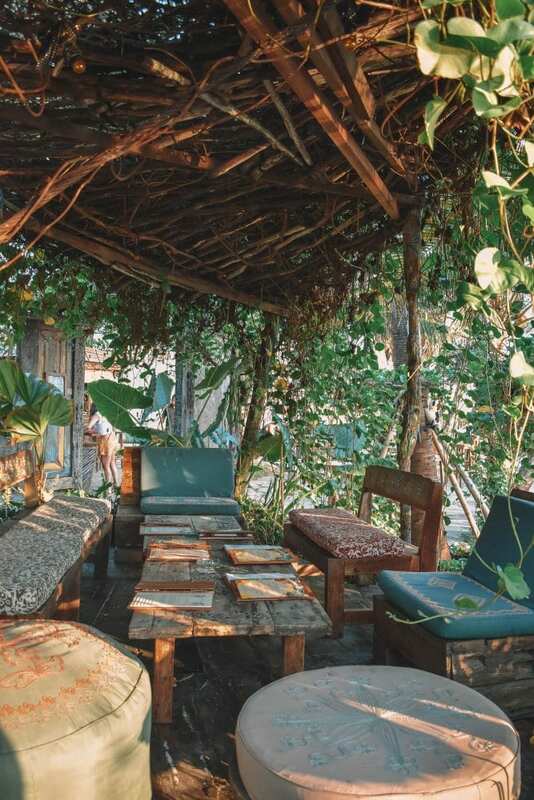 Old Man’s: If you are looking for a casual and relaxed beach bar, then Old Man’s in Canggu is the place to go! Now, don’t get me wrong, Old Man’s isn’t exactly on the beach, but it is literally a hop, skip and a jump away and also in walking distance from The Lawn. 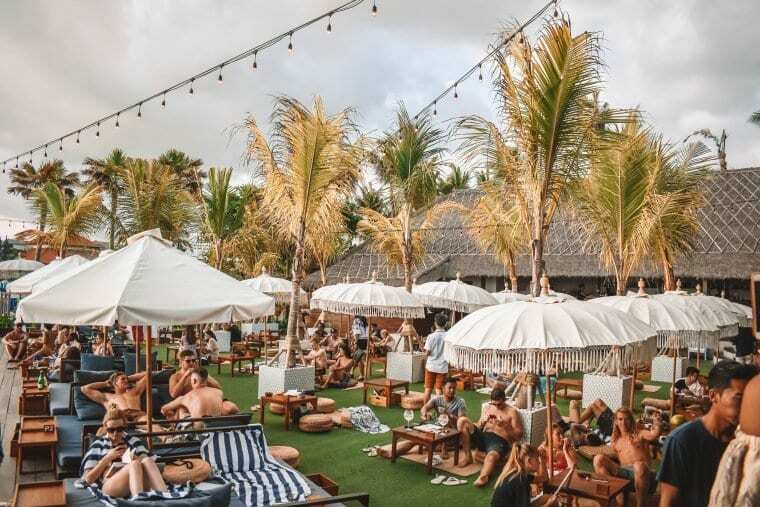 Old Man’s offers the best of island party life with a variety of tiki bars, colorful lights, surfboards and so much more. 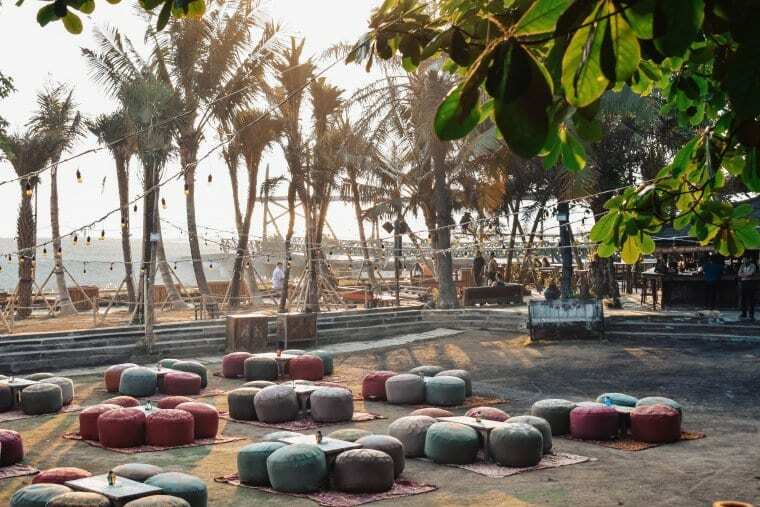 This is the perfect place to enjoy a few Bintangs (Indonesian beer) at the biergarten and listen to live, local and international bands and DJs. There is even a dance floor! Even though most of Bali’s nightlife is casual, Old Man’s is the place where you could literally show up in your bathing suit. La Favela: Known as one of Bali’s most exquisite nightclubs, La Favela was made to bring Rio de Janeiro to Indonesia. 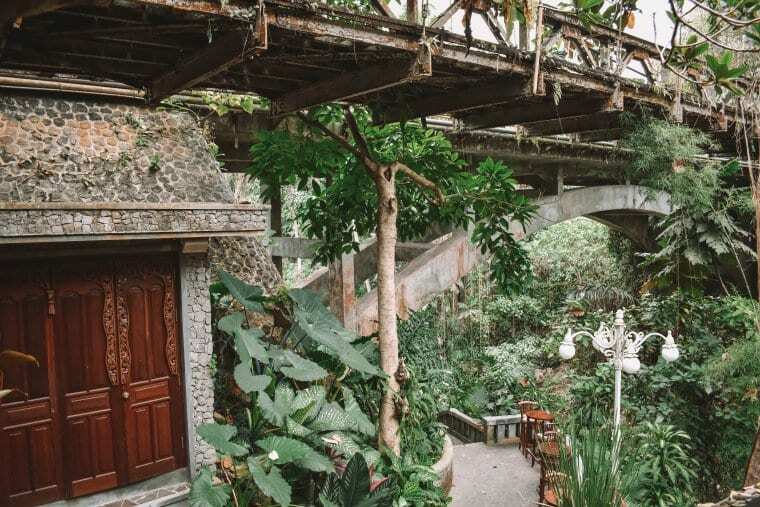 Situated in the heart of Seminyak, La Favela offers semi-indoor gardens, artificial waterfalls and ponds as well as alfresco tables and chairs that are all laid out beyond a mini bridge. What I love most about La Favela is that there is a room for everyone. With multiple night clubs in one, there are rooms that play rap and hip-hop songs, Latin music, European electronic hits, American pop classics and so much more! This nightclub is such a blast! Mirror Lounge and Bar: Another amazing nightclub that you cannot miss out on during a trip to Bali is Mirror Lounge and Bar. Also located in Seminyak, Mirror Lounge and Bar is an old gothic cathedral turned into one of the best dance parties. This beautiful nightclub has candy colored mosaic glass and brings in DJs from all over the world. It is one of the perfect places to end your trip! 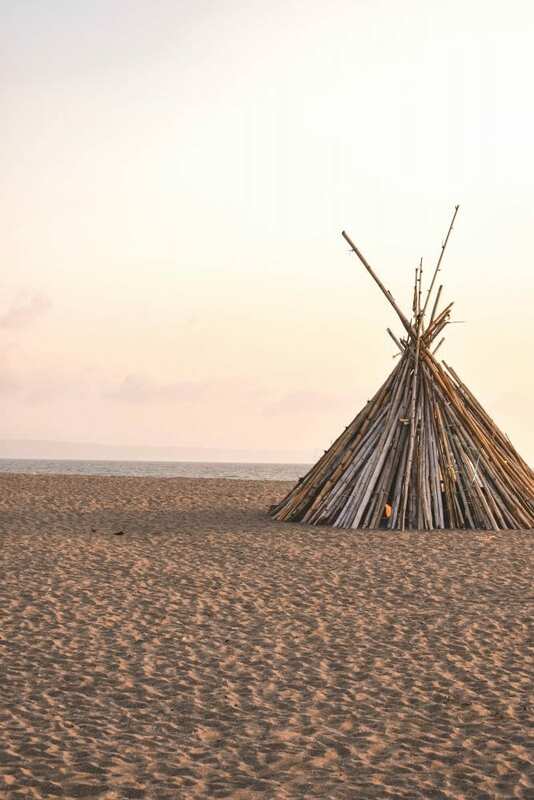 Discover more cool spots in Bali with TripAdvisor! Overall, I had a memorable time on my first travel blogging retreat with We Are Travel Girls. 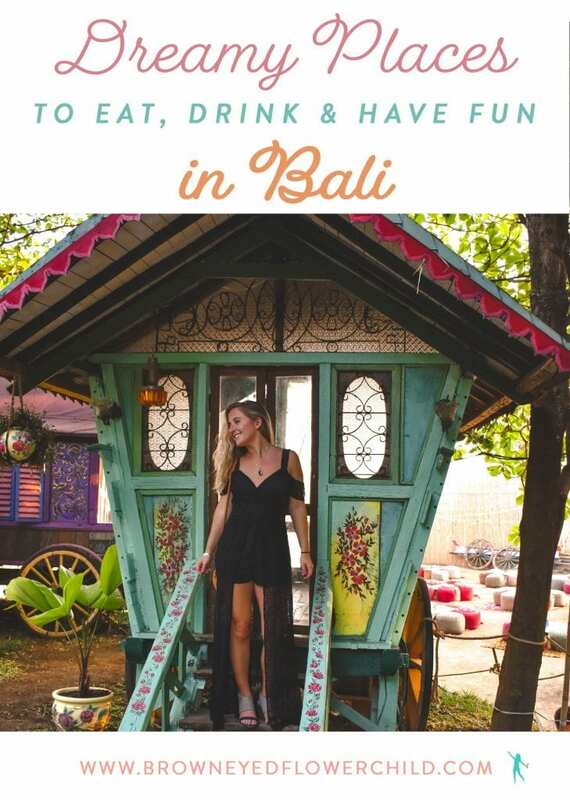 If you haven’t had an opportunity, please check out my Highlights of Bali blog post where I talk more about what I learned and all of the amazing adventures we participated in. Click here to learn more about Travel Girls Getaways and discover where they are heading to next. 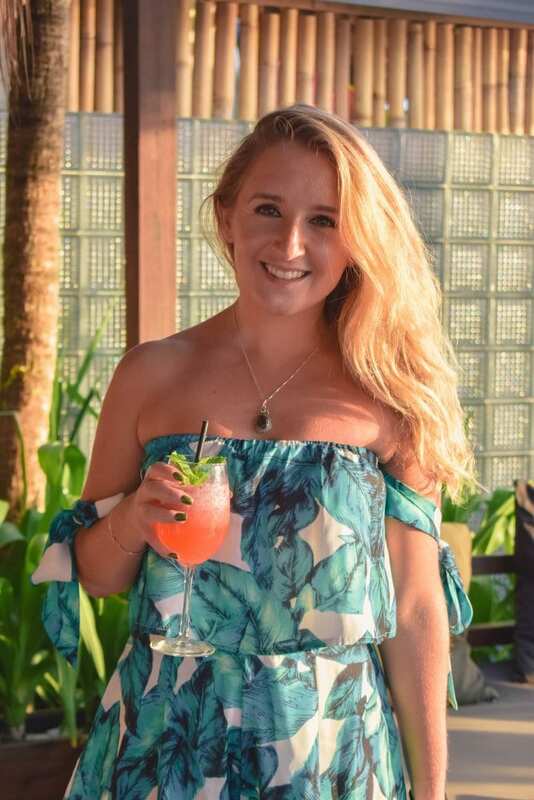 If you have any questions about my trip to Bali, please feel free to email me at , contact me via info@browneyedflowerchild.com social media or leave a comment below.